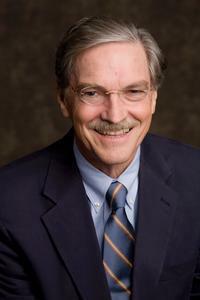 Robert Lawrence is the Center for a Livable Future Professor Emeritus and Professor Emeritus of Environmental Health and Engineerings at the Johns Hopkins Bloomberg School of Public Health and Professor Emeritus of Medicine at the Johns Hopkins School of Medicine. Dr. Lawrence is a graduate of Harvard College and Harvard Medical School, and trained in internal medicine at the Massachusetts General Hospital in Boston, Massachusetts. He served for three years as an epidemic intelligence service officer at the Centers for Disease Control and Prevention, U.S. Public Health Service. Dr. Lawrence is a Master of the American College of Physicians and a Fellow of the American College of Preventive Medicine, a member of the National Academy of Medicine of the National Academy of Sciences, the Association for Prevention Teaching and Research, the American Public Health Association, and Physicians for Human Rights. From 1970 to 1974, he was a member of the faculty of medicine at the University of North Carolina at Chapel Hill where he helped develop a primary health care system funded by the Office of Economic Opportunity. In 1974, he was appointed as the first director of the Division of Primary Care at Harvard Medical School where he subsequently served as the Charles S. Davidson Associate Professor of Medicine and Chief of Medicine at the Cambridge Hospital until 1991. From 1991 to 1995, he was the director of health sciences at the Rockefeller Foundation. From 1984 to 1989, Dr. Lawrence chaired the U.S. Preventive Services Task Force of the Department of Health and Human Services and served on the successor Preventive Services Task Force from 1990 to 1995. He served as a consultant to the Task Force on Community Preventive Services at the CDC from 1996 to 2008. Dr. Lawrence has participated in human rights investigations on behalf of PHR or other human rights groups to Chile, Czechoslovakia, Egypt, El Salvador, Guatemala, Kosovo, the Philippines and South Africa. From 1995 to 2006 Dr. Lawrence served as Associate Dean for Professional Education and Programs. Since 2006 he has been a full-time faculty member in the Department of Environmental Health and Engineering. Neff RA, Parker CL, Kirschenmann FL, Tinch J, Lawrence RS. Peak oil, food systems, and public health. AJPH 2011; 101(9):1587-1597. Neff RA, Palmer AM, McKenzie SE, Lawrence RS. Food Systems and Public Health Disparities. J Hunger & Env Nutrition 2009; 4:282-314. Lawrence RS, Chan I, Goodman E. Poverty, Food Security, and the Right to Health. Georgetown J on Poverty Law & Policy 2008; 25(3):583-604. Sapkota A, Sapkota AR, Kucharski M, Burke J, McKenzie S, Walker P, Lawrence RS. Aquaculture practices and potential human health risks: Current knowledge and future priorities. Environ Int 2008; doi:10.1016/j.envint.2008.04.009.